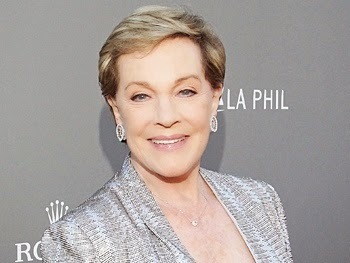 Jameson Dublin International Film Festival is ecstatic to announce that the legendary actress Julie Andrews will be attending two very special events on the closing day of the Festival. Miss Andrews will participate in an unmissable public interview at the Bord Gáis Energy Theatre and will then close the Festival in tremendous style with the gala screening of the Academy Award winning film The Sound of Music in the Savoy Cinema. Miss Andrews has brought elegance, grace and happiness to stage and screen and it is a great honour to welcome her to the Festival to participate in a public interview hosted by Aedin Gormley from RTÉ’s Lyric FM, Movies and Musicals at the Bord Gáis Energy Theatre. Miss Andrews will discuss her extraordinary career from her luminous first appearance on Broadway starring in The Boy Friend; to creating the role of Eliza Doolittle in My Fair Lady; to her film debut as the titular beloved character in Disney’sMary Poppins, for which she won a Bafta, Golden Globe and an Academy Award for this iconic role. The interview will start at 3pm, followed by an opportunity for the audience to ask questions. Miss Andrews will later introduce a special presentation of The Sound of Music, the Festival’s closing gala event in the splendid setting of the Savoy Cinema at 7.30pm. Tickets will be on sale at 9.00am tomorrow Friday 20th February for Julie Andrews At the Bord Gáis Energy Theatre priced €25 - €39.50, please go to www.bordgaisenergytheatre.ie and jdiff.com for availability and book.